Last week I got caught in a very bad traffic jam on my way to work. I was stuck in it from 10.30 to 12 PM. It was blazing hot and it was not possible to even take a U-turn. I had no option but to wait with other commuters like me. I got very dehydrated and felt like I would faint. People were angry and no one was able to hold together their melting tempers due to the heat. This traffic jam was caused due to a procession. It was the worst one I ever experienced in Ahmedabad. I have experienced such traffic jams in Mumbai though. While those are caused due to over population, Ahmedabadi traffic sense is really very poor. People drive in every possible direction. At times they don’t even have an alternative but to drive wrong side due to the infrastructure. The worst thing about Indian roads is the level of noise pollution. I don’t understand why people blow horns when they are absolutely not needed. It is so irritating and so stupid. Some people want to show off their driving skills, as a result they not only drive fast but also blow horns every once in a while. It gets at me. All they are showing is their limited brain capacity. Horns are indeed irritating and they make commuting harder. Noise pollution is really a nuisance and it is as bad as other forms of pollution. One shouldn’t neglect it and there needs to be awareness regarding this. I wonder why they don’t teach this very important thing to people appearing for driving tests. It is as important as other aspects of driving. People use horns instead of breaks. Why don’t they understand that one can’t move ahead as long as there are more vehicles ahead? When you blow a horn in a traffic jam or at the crossroads it’s like expecting the person ahead to fly and move ahead. As it is we have animals, pedestrians and traffic; all moving on the same road in addition to a few vehicles even parked on the same road. Like this isn’t enough, we have the worst noise pollution. There are a lot of countries wherein blowing a horn is considered offensive and people don’t use horns unless absolutely necessary. I see some people who not only blow horns mercilessly but also compose music with them. They consider themselves Beethoven’s or A. R. Rahman’s of Ahmedabad. They make these special little tunes with their horns which are even more irritating then the horn itself. And if you notice their body language you would realise they are proud of their little tunes as if it is the number one on iTunes. They are blissfully unaware of the anger it flares up in people like me. A slight variation of the above masterpiece with four beeps. Blowing an already long horn twice is the same fashion takes a lot of practice. 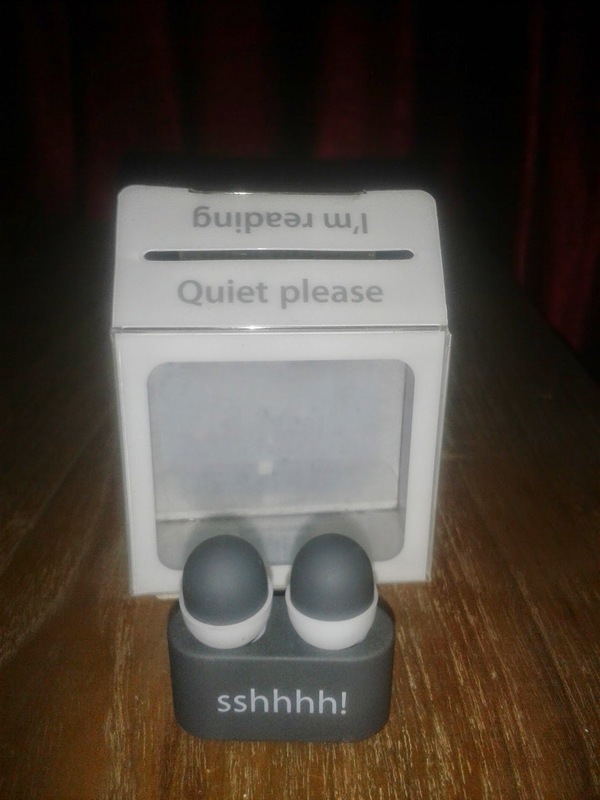 I wish I could mute these people but I have to manage with these ear plugs I got from Crossword the other day.Though they are supposed to be used while reading, I use them while commuting in traffic. Hope people understand the difference between noise pollution and music. A good taste in music is an important strait in one's personality, isn't it?